People from various industries and backgrounds have been enjoying Houston’s High Speed Playground at Speedsportz Racing park. 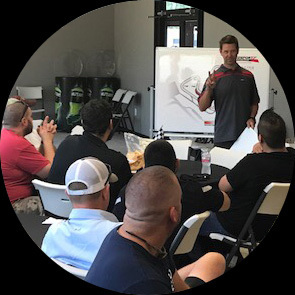 If you’re looking for a great idea to put the “WOW” factor for your next corporate group meeting or team building event in the North Houston area, we’ve created the perfect venue for you. 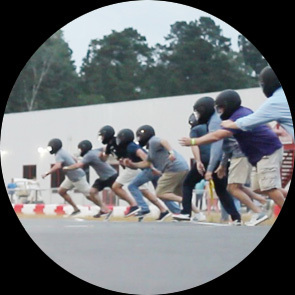 Bring your corporate group to take on the challenge of a thrilling, high-performance karting track! 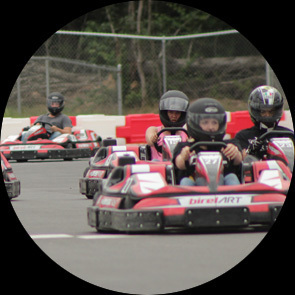 We can accommodate groups from 10 to 100+ racers. Compete for a coveted position in the Main Event to determine the overall winner. Everyone gets a practice round then qualifying heat races determine who makes it to the A Main event. Semi-Main qualifying events added as needed. Perfect for groups of 30 or less racers. An endurance karting race where team members change drivers in a relay race style competition. This is an exciting and fun team-building challenge! Minimum of 10 people required. Click here to read more about what's involved in Kart Enduro Racing! We have a nice selection of caterers that we work with to provide a variety of menu options to fit all budgets and culinary tastes. Our Rock Island Meeting Room is a 1200 square foot space featuring two large screen televisions for watching television or showing presentations. 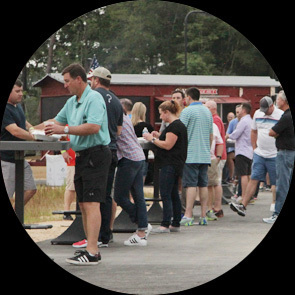 Additionally, we have a 3000 square foot lobby area which can be utilized for Corporate or Large Group Events, as well as, two large outside viewing decks atop our buildings.